After an educational and unexpectedly inspirational farm stay last year, Theatreworks’ annual 24-Hour site-specific playwriting competition returns this July, this time to be held at everyone’s favourite local theme park – Haw Par Villa. In conjunction with the competition, Theatreworks has lined up an entire month’s worth of programmes celebrating and imparting the power of writing to interested participants with the Writers’ Lab! First started in 1990 by Ong Keng Sen, the Writers’ Lab has been continually pioneering and championing new local writing, encouraging and equipping participants with the skills to progress onwards with their playwriting journeys. This year, a total of four programmes have been designed to bring writers and audiences together as they share their voices, ideas and thoughts on writing and theatre. 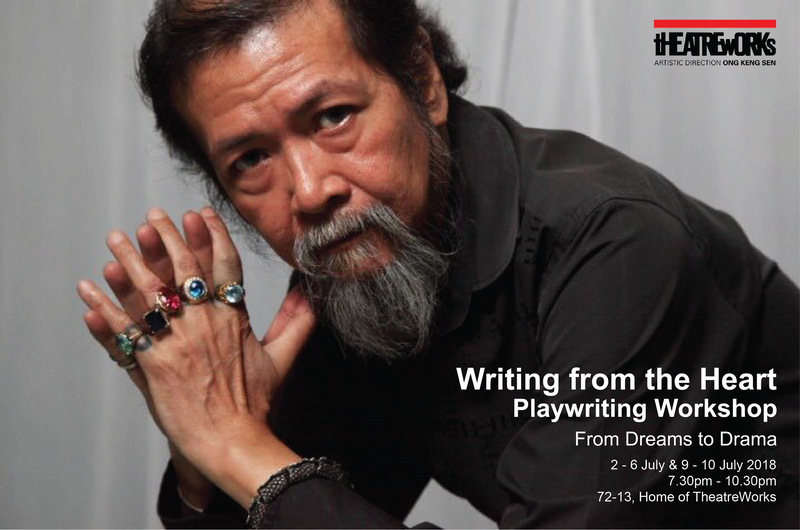 In Writing from the Heart: From Dreams to Drama, renowned Filipino playwright, novelist and visual artist Tony Perez will be in town to conduct a comprehensive seven-day playwriting workshop at 72-13. Throughout the week, participants will engage in writing exercises focusing on dream interpretation and translating that into an actual play. Past works that have been born and developed under Tony Perez’s workshop include Business Times writer Helmi Yusoff’s My Mother Buys Condoms and Shen Tan’s upcoming 13.13.13. to be staged this July. Clara Chow and and Pamela Tham, participants from the 2016 workshop who underwent a year long mentorship with Tony Perez, will also be having their plays Make Sure and Birth Days (both by Clara Chow) and Waiting for Marimekko (by Pamela Tham) presented as dramatic readings on 7th July, and feature actors such as Beatrice Chia, Noorlinah Mohamed, Shafiqah Efandi, Adib Kosnan and Cheryl Tan. These works are still in development, and welcome audience feedback and commentary after the show. In addition, in the lead-up to the 24-Hour Playwriting Competition itself, Tony Perez will also be conducting a workshop entitled Writing Site Specifically. Taking place on 1st July at Haw Par Villa itself, the four hour workshop will lead participants on a number of hands-on writing exercises as they use the stimuli around them to inform their writing and express themselves artistically. 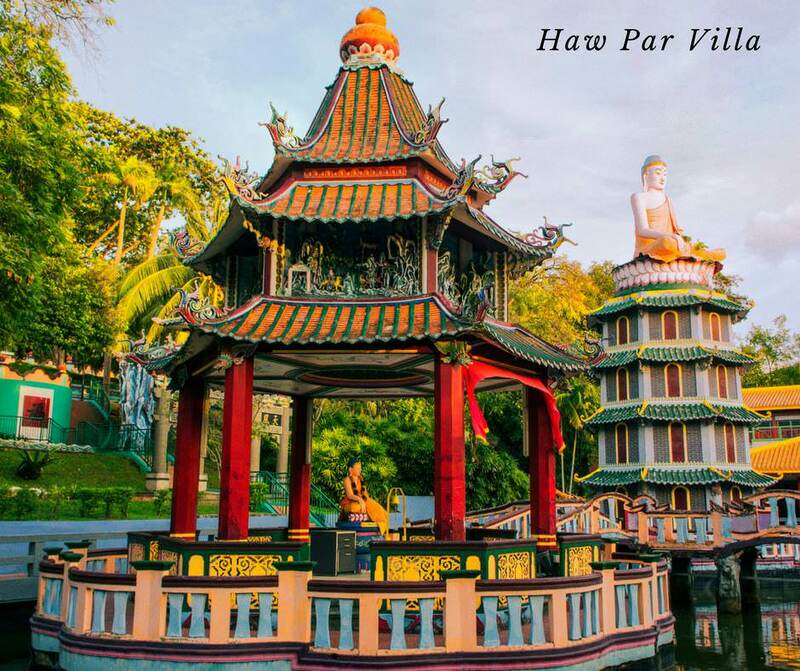 And of course, on 14th July, Haw Par Villa will once again open its doors to promising young writers with an idea in store for the 21st annual 24-Hour Playwriting Competition itself. Writer’s block is but a myth, as writers plant themselves in this sprawling, hellish theme park for a day and take inspiration from its treasure trove of art, culture, mythology, philosophy, and religion. This July, whether it’s through experiencing a dramatic reading, or spinning those creative gears with the various workshops held, unearth the story you’ve been meaning to tell with Theatreworks’ Writers’ Lab as they continue to support and celebrate new local writing and writers.